Davis Mechanical Corp is proud to serve the Rockland community! Located in Plymouth County, Massachusetts, Rockland is a town with about 17,500 residents. The town was originally settled by Europeans in 1673 and was incorporated in 1874. The name comes from the community’s rocky nature, which previously made for a good place for industry and mills. More recently, artists have been moving into the town, as they are attracted by the former factories as inspirational places to both meet and work. Rockland also serves as the headquarters for a few major companies: Tedeschi Foo Shops, EMD Serono, and Rockland Trust Company. Rockland is home to a few notable places that visitors might like to check out when passing through town. 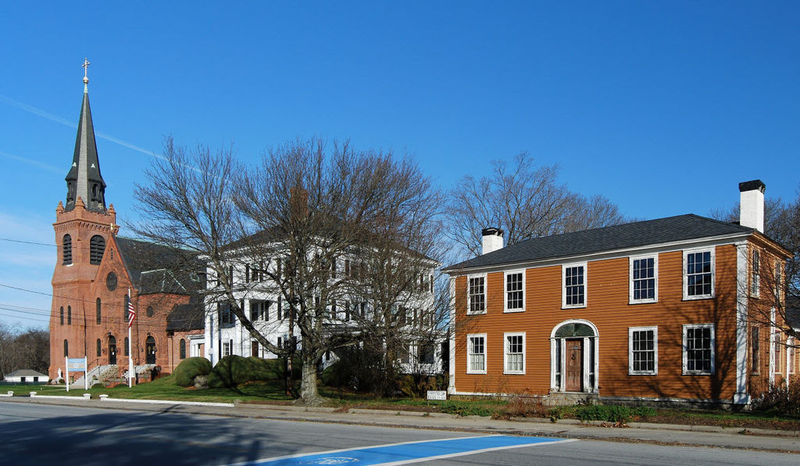 There are several historical buildings located in Rockland, including Mckinley School, Phoenix Building, Rockland Memorial Library, and Rockland Almshouse. Golf fans might enjoy a trip to Rockland in order to play a round at Harmon Club or the Rockland Golf Course. Then, after working up an appetite, a trip to one of Rockland’s top restaurants might be in order, including Little Bangkok Thai Restaurant, Bella’s Restaurant, The Banner, and Jac’s Café. The Rockland area is known for lying in a transitional zone between humid continental and humid subtropical zones. Humidity tends to be quite high in the region at all times of the year. This can be especially bothersome in the summer months when the weather is hot. With average highs in the low-80s, high humidity added to the mix can lead to some uncomfortable conditions. An energy efficient air conditioning unit can keep home interiors comfortable and can also improve indoor air quality for people who suffer from respiratory illnesses. The winter months are usually cold, and depending on the season, they can either bring periods of cold rain or snow. Since overnight lows often fall well below the freezing point, this can create some dangerous conditions, both indoors and outdoors. A reliable home furnace will be a necessity in order to stay safe and to prevent pipes and plumbing from freezing.